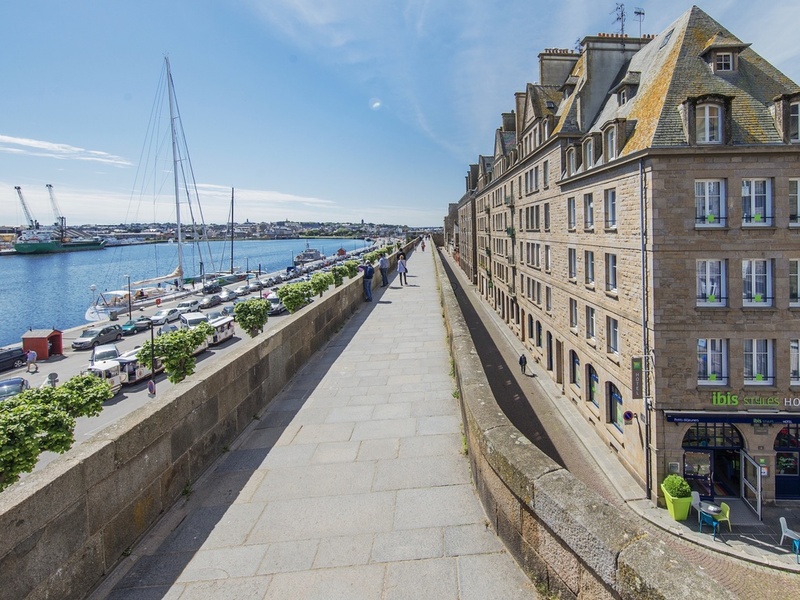 Our hotel boasts a prime location in Saint Malo, in the heart of the walled city and just a stone's throw from cultural attractions, shops, restaurants, beaches, ports and car parks... A great stay is guaranteed. Breakfast and WIFI are included in all rates at the ibis Styles St Malo Centre Historique hotel. Located in the heart of the walled city, our hotel is right next to the marina made famous by the Route du Rhum, as well as beaches, restaurants, shops, the maritime terminal and the convention center, and is just a few minutes from Dinard, Dinan, Cancale and Mont St Michel. Our modern and colorful hotel has 39 rooms, a living area, a children's area, a bar and a terrace overlooking the city walls. Choose from our selection of ciders, wines and local beers to enjoy on the terrace while admiring the night-time view over the city walls. It's the ideal place to relax with family or friends.